It’s not only the X-T30 that Fujifilm is bringing here in the Philippines. The company is also introducing the newest addition to its GFX Series: the Fujifilm GFX 50R. Here’s what to expect from this new medium format mirrorless digital camera. 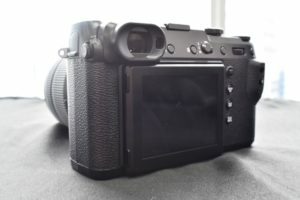 Sporting a rangefinder style design, the Fujifilm GFX 50R comes in with a lightweight body at 775 grams. It is compact at 160.7mm width, 96.5mm height, and 66.4mm depth. The GFX 50R is perfect for photographers who are looking for a camera that is light and easy to lug around, and easy to operate like traditional film cameras. The camera body is made of magnesium alloy body and is sealed in 64 different places to provide dust and weather resistant. It can even operate in environments as cold as -10°C. 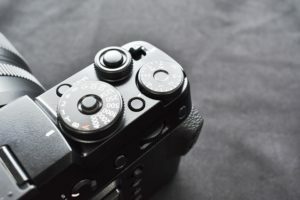 Fujifilm decided to include a Focus Lever on this camera; the lever provides instant control of the focus point. On the upper surface of the body, you’ll find the shutter speed and exposure control dials for simple operability. The electronic viewfinder has a magnification of 0.77 and uses a high resolution 3.69 million dot organic EL panel for accurate focusing. 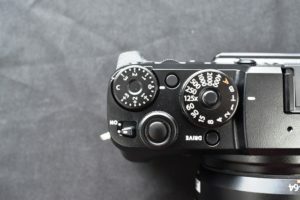 In addition, the dials made of aluminum give the camera a classy touch, plus it enables a smooth click when rotated. The GFX 50R is the first camera in the series to include Bluetooth low-energy technology. Now, photographers can use the Fujifilm Camera Remote application on their smartphones or tablet, and send images quickly and easily from their GFX 50R. To store your images and videos, this camera supports SD, SDHC, SDXC Card, UHS-I, and UHS-II. The 2,360K-dot 3.2-inch LCD touchscreen monitor comes with a 4:3 aspect ratio. It can tilt into two direction and has almost 100 percent coverage. The GFX 50R incorporates a large sensor, which is approximately 1.7 times the size of a full-size 35mm image sensor. 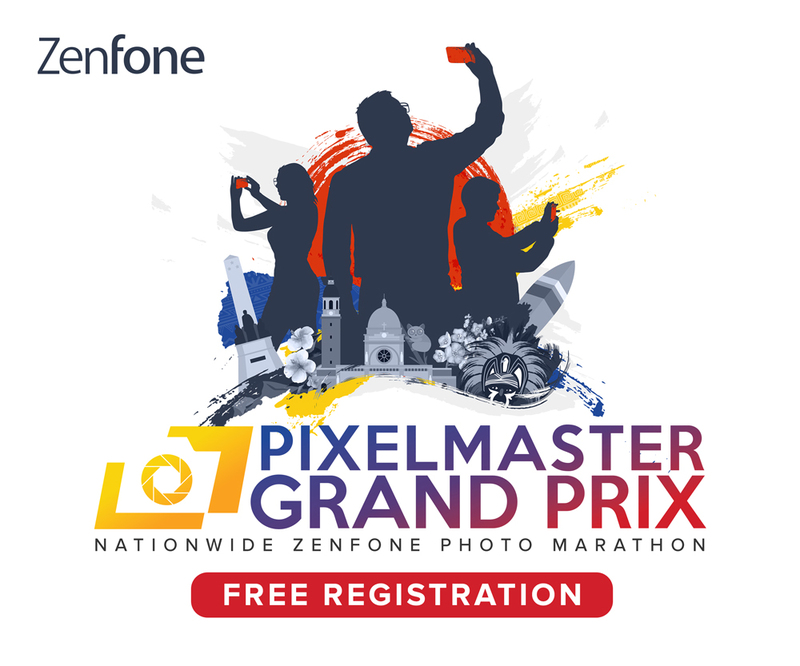 The Fujifilm G Format Image Sensor in this shooter has 51.4 million pixels. It’s paired with an X-Processor Pro engine, Fujinon GF lens, and Fujifilm’s proprietary color reproduction technology. The GFX 50R also features the Film Simulation Mode, which allows users to reproduce the colors of photographic films such as PROVIA, Velvia,and ACROS. Other features to take advantage of are the ISO of up to 102,400 and the up to Full HD @ 30p video recording. Powering this device is a NP-T125 Li-ion battery. When it comes to versatility, this Fujifilm camera is compatible with all of the 11 Fujinon GF interchangeable lenses. 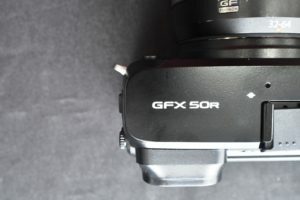 Moreover, the GFX 50R works with tether shooting software such as HS-V4 for Windows and the Tethered Shooting Plug-In PRO for Adobe Photoshop Lightroom. It is also compatible with Capture One Pro Fujifilm 5. 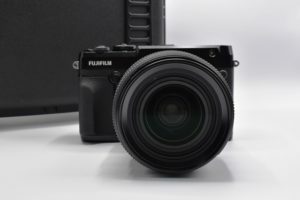 On the website of Fujifilm Philippines, the Fujifilm GFX 50R has a price of a whopping P259,990. The camera only comes in black.